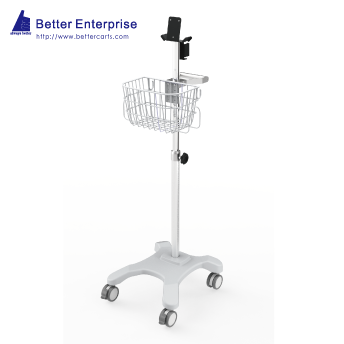 Better Enterprise Vital Signs Monitor Roll Stand (20” Base) is designed to mount various vital signs monitors and patient monitors with vertical mounting surface according to customers’ request. There is optional counter weight for better performance with heavier medical devices. The Vital Signs Monitor Roll Stand (20” Base) features a vertical mounting plate with power adapter holder for the vital signs monitors and patient monitors with vertical mounting surface. The mounting plate can be customized according to your vertical mounted devices. 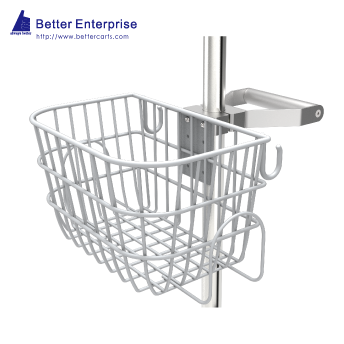 The multi-purpose utility basket does not only allow you to storage the necessary medical accessories well but also feature the hooks for cable management. 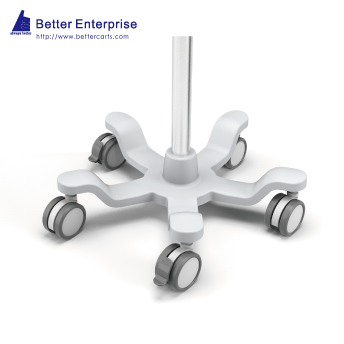 The low-center-of-gravity design of 5-legged aluminum base for Vital Signs Monitor Roll Stand (20” Base) creates easier, more stable mobility and reduce the risk of tipping. The powder coated aluminum handle allows easier and more convenient mobility. The unique height adjustment design makes it much easier to adjust the height of the table top according to the application environment. Besides, there is also the optional Pneumatic Height Adjustment System. 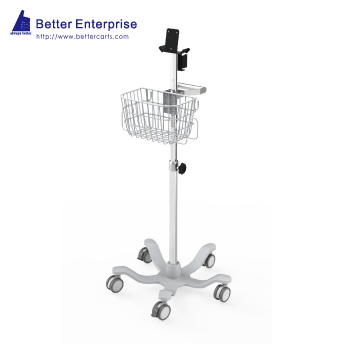 Better Enterprise is Vital Signs Monitor Roll Stand (20” Base) manufacturer, Vital Signs Monitor Roll Stand (20” Base) supplier, and supplying professional Vital Signs Monitor Roll Stand (20” Base) products. 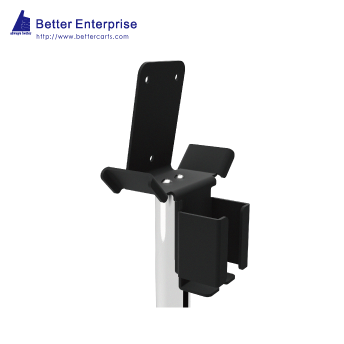 With Better Enterprise′s wide range of production methods, experience and OEM capability, Better Enterprise will be your first choice for Vital Signs Monitor Roll Stand (20” Base). Choose Better, Always Better. You are always the most welcome to contact us Vital Signs Monitor Roll Stand.